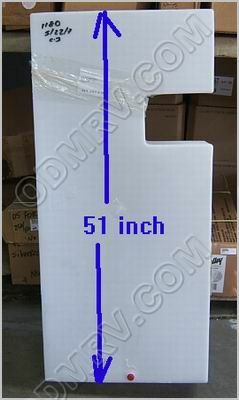 Fresh Water Tank with Probes 600833-03 [600833-03] - $229.95 : Out-of-Doors Mart!, More Airstream Parts on-line than anyone! 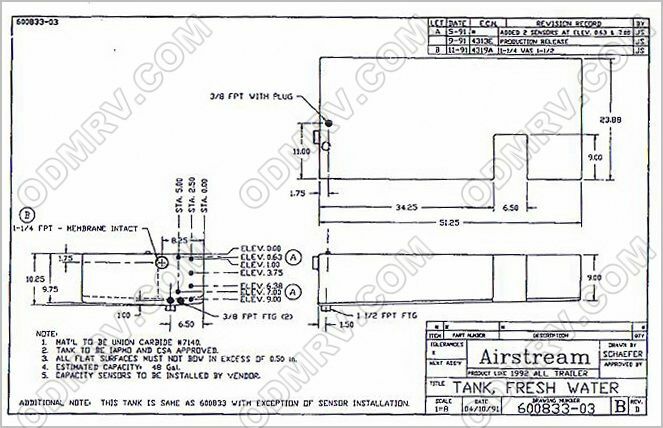 600833-03 old SKU5954 - Fresh Water Tank with Probes. 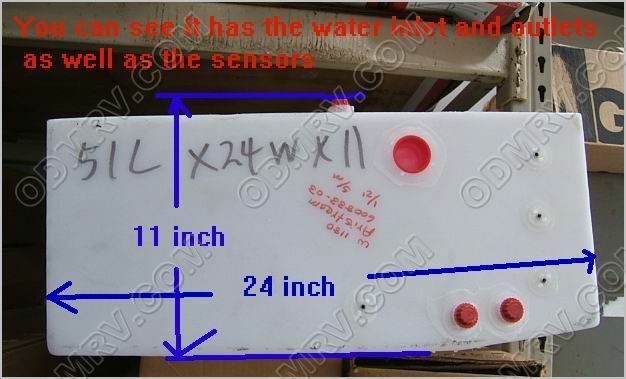 This water tank is made of polypropylene. 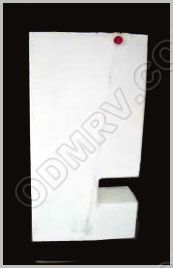 It has been used in a lot of different year trailers, although it was made for ALL Units 1992-95 Travel Trailers (NOT WIDE BODY). Better pictures and measurements forthcoming.